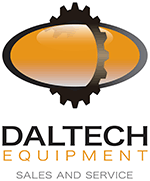 Daltech Equipment is the market leader in providing maintenance service to the mining and civil sector across both metropolitan and regional WA. Offering a range of repair and maintenance solutions for mobile mining & civil earthmoving equipment, they truly pride there selves in the quality of work they provide there clients. Currently seeking qualified and experienced Auto Electricians with extensive air conditioning experience within the mining and civil industry for available Regional FIFO positions. The successful candidate will become an important & vital member in already close-knit team. They have earned an outstanding reputation for the quality of workmanship, excellent customer service and there commitment to safety on all projects undertaken. Much of that reputation is due to their solid, loyal workforce and place great emphasis on there people. A supportive work environment where employees are encouraged to show initiative. Daltech Equipment is an Equal Opportunity Employer. All candidates who meet the essential criteria are strongly encouraged to apply. For any further information regarding this opportunity please contact. Please submit your resume in a MS Word format by clicking on the Apply button below. All applications are treated in the strictest of confidence and your details will not be forwarded to the company without gaining your prior consent. Make yourself stand out from everyone and create your resume with keywords contain.